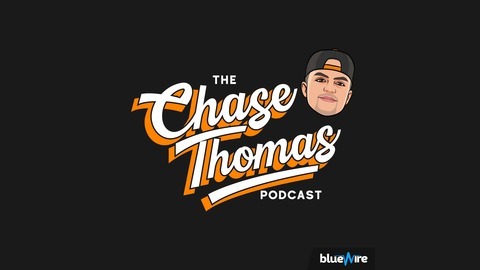 Chase Thomas hosts the best independent sports podcast today, with guests ranging from ESPN to Sports Illustrated to Bleacher Report to The Ringer to The Athletic and so many other big-time publications to talk about sports in a smart, informative, and, hopefully, entertaining way. Visit chasethomaspodcast.com to learn more. 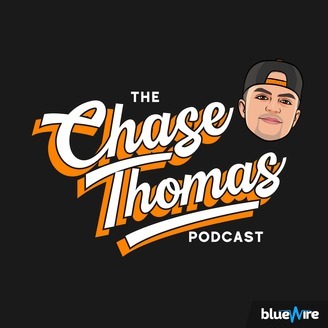 Chase Thomas is joined by ESPN's Mike Golic Jr. to talk about what it's like working with his dad on 'Golic & Wingo', if Papa Golic will ever get a tattoo like Jr., why Notre Dame excels at putting out elite offensive lineman in the NFL, what Arizona should do at No. 1, Gruden and Mayock sending the Raiders' scouts home days before the NFL Draft, why it's hard for offensive lineman to transition from college to the pros, Haskins and the Giants smoke, if the Bears are doomed to fall in the NFC North, and how Golic Sr. improved his golf swing. You can follow Chase on Twitter, like him on Facebook, read him on his website, and even email him at chasethomaspodcast@gmail.com if that is something you would like to do, too.